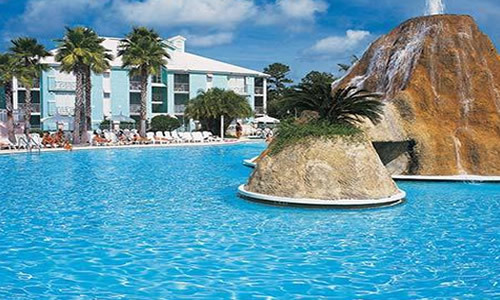 Cypress Pointe Resort is the perfect destination for family fun in Orlando. All of Florida's main attractions, including Walt Disney World?�?� Theme Parks and SeaWorld?�?� are at your doorstep. The shopping is superb with the nearby Florida Mall and the numerous designer outlet malls that surround your resort. The activity doesn't end when you get back to your resort. With an outdoor swimming pool, water volcano and slide, children's pools and playgrounds, you have plenty from which to choose to relax and enjoy your vacation.